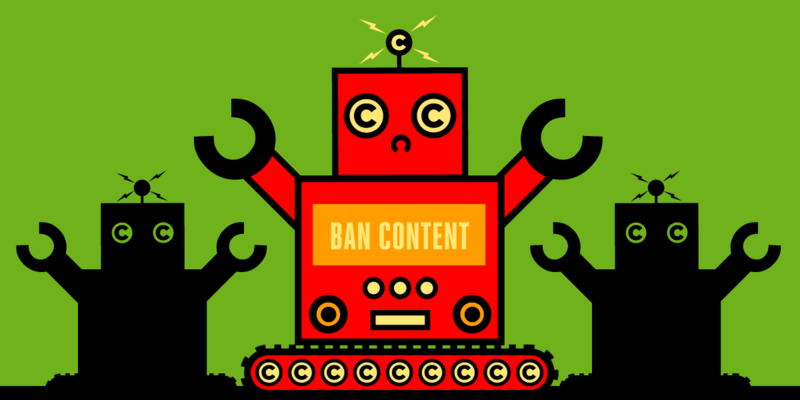 In six days, the EU will debate and vote on a pair of copyright regulations that constitute an extinction-level event for the internet: “censorship machines” (Article 13, forcing all user-generated text, video, photos, code, etc through copyright filters that anyone can add anything to; anything judged to be a copyrighted work is automatically censored) and “the link tax” (users are banned from linking to news stories unless the site they’re linking to has sold a “linking license” to the platform the users are on). These proposals were considered and rejected by the EU’s experts, by the most esteemed internet experts in the world, and by the UN’s special rapporteur on human rights. Nevertheless, they were crammed back into the draft EU Copyright Directive and very nearly sailed through into EU-wide law, a catastrophe that was only averted by the calls, emails and texts of 1,000,000 Europeanswho contacted their MEPs earlier this summer. On Wednesday, September 12, the European Parliament will finally hold a proper debate and vote on these proposals. Today, we got our first look at the text of the amendments that they will consider. Many of these amendments are cynical, cosmetic offerings that merely serve to confuse the issues, but several of them offer surprisingly sensible alternatives — alternatives that do not sell Google, Facebook, Twitter and other US tech giants a perpetual license to dominate the internet in exchange for a few million tossed at German newspaper families and other European content barons. MEP Julia Reda — responsible for most of the sensible and uncontroversial clauses in the Copyright Directive — has produced a useful table laying out the different groups’ bargaining positions as we head into the debate. Europeans have a lot on our minds right now: after a climate-wracked summer, amidst the rise of reactionary ethno-nationalist groups, in a society riven by inequality, it’s hard to find space for obscure technical battles like this one. But there is no way that we’ll solve any of these crises without a free, fair and open internet. If we let the EU sell the internet to a handful of US tech giants to keep a handful of European entertainment companies happy, we lose the most important tool we have for solving all the problems that really matter. Save Your Internet is the place to go to contact your MEP and let them know how you feel about this. It’s really important that you do this, today, and that you follow it up by enlisting at least two friends by having a conversation with them and getting their commitment to get in touch with their MEPs, too.